For passivation & removal of light rust from metal and Galvanised iron roof sheeting. It also facilitates removal of minor deposits of oil and grease as well as chemically etching the metal surface to ensure optimum adhesion of the subsequent primer coat. 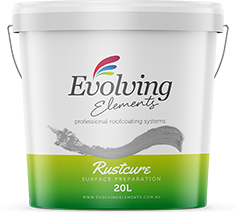 Rustcure must be thoroughly washed off with water and the treated area must then be primed within 30 minutes of drying with Evolving Elements Surface Prime Plus. Primer for metals. 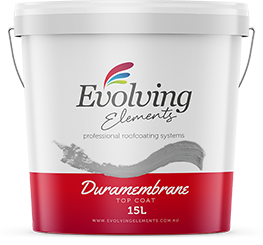 It contains rust preventing agents, inhibitors, adhesion promoters and inert fillers. Coloured Coating to revive existing colour or new look to roof. 100% acrylic. Specifically designed to restore, rejuvenate and seal old and aged roofs to revive existing colour or to a new colour. It dries to a semi-gloss coloured finish. 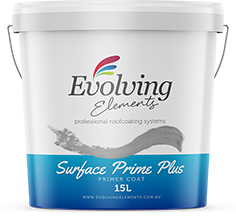 It is a highly durable flexible finish, formulated for excellent resistance in Australian and Tropical weather.